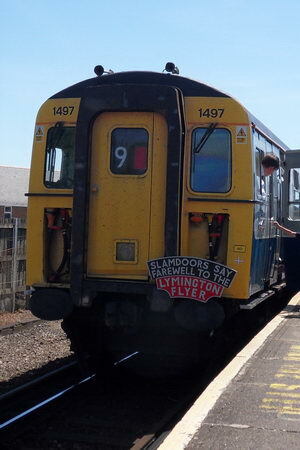 1497 at Lymington Pier having just arrived with the 12.59 service from Brockenhurst. During the day, they was definitely an assortment of headcodes used including 91, 92, 93 and 98 as well as the correct 97 headcode. The headboard has been altered for the deperature of the units. 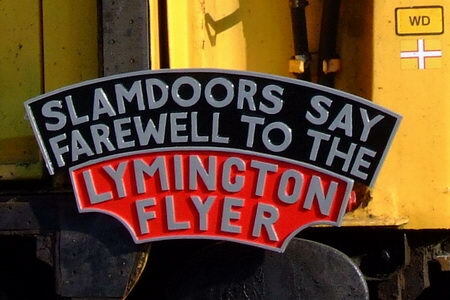 In the past, the Lymington Flyer and the Lymington Flyer 150 headboard has been used. 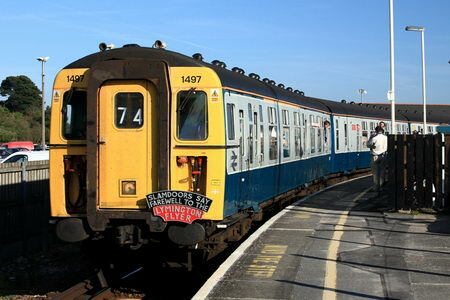 1497 working the 18.44 service to Portsmouth, sorry to Brockenhurst. 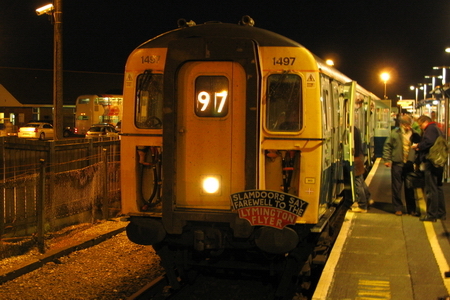 1497 about to work the last ever service; the 22.14 to Brockenhurst. 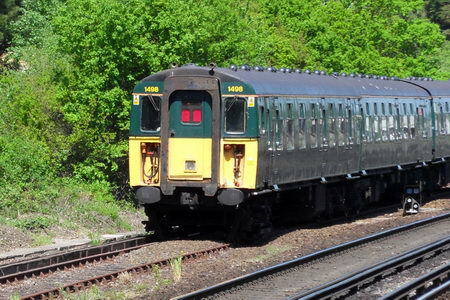 On weekdays, class 158/159 units can be found on the branch line with class 450 units working the weekends. Markus Giger captures 159081 working a service on 17th July 2009.